The alcove fixture consists of a folding door and a fixed wall into which another hinged door has been attached. 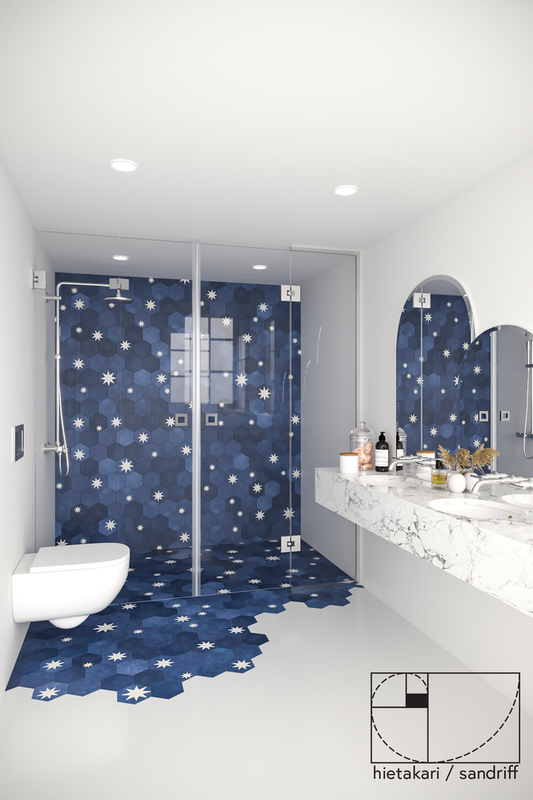 The product is well-suited for a shower enclosure next to which are fixtures and where the door may not have enough space to properly open to both sides. The folding door does not require space for opening outside the shower area; instead, the door folds inside the shower area so that the door panels fold into a small space against the wall of the building. 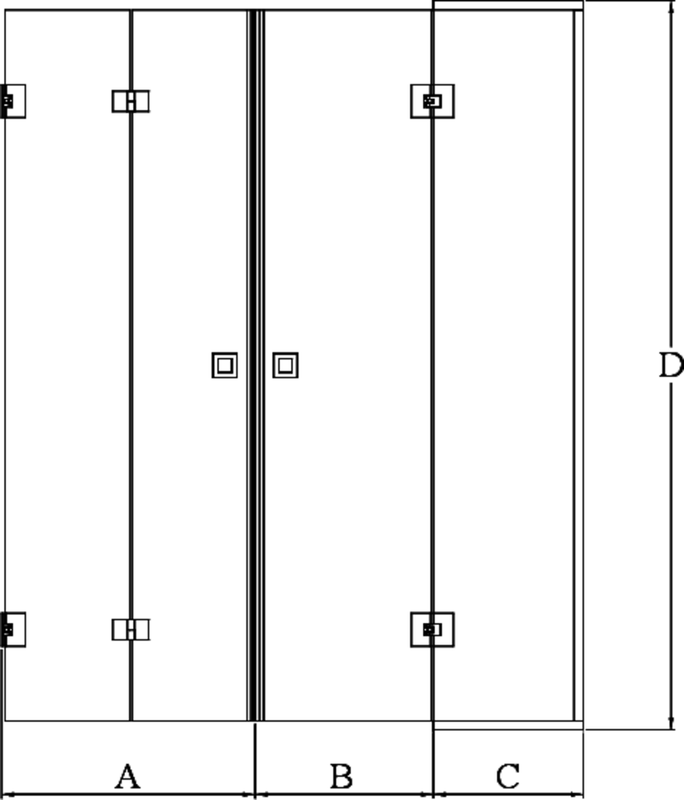 Fixed wall and doorway can be dimensioned so that the fixed wall protects the fixtures and the doorway occupies the width of the available space. The doors can be dimensioned symmetrically or so that the doors are of different sizes. When the shower is not in use the doors can be positioned parallel to the building walls. Doors rotate 90 degrees in both directionsand are equipped with adjustable centring. The centring attempts to return the door back to the open and closed positions. In addition the outer panel of the folding door rotates 180 degrees in relation to the inner panel so that the panels fold against each other inside of the shower area. A magnet seal keeps the door tightly closed during showering.